Since half of the Boot Bomb’s visitors are women, there is no reason why I wouldn’t dedicate a review guide to all the best women’s hiking boots in 2019. It took me many days to compile this list, but I strongly believe it was worth the effort. You are looking at the top 20 best trekking boots from no less than 20 different brands! It was hard to rank them by their current ratings, because they all receive excellent ratings. So for your convenience, these have been ranked by popularity instead. Women on top of the world, take your hike to whole new levels with these excellent boots! Keen is one of the most reliable brands when it comes to comfortable footwear. And with the Keen women’s Oakridge, you get an affordable, all-weather hiking boot, which can tackle a diverse range of demanding trails and terrains. Designed specifically for women, these shoes can handle rainy campsites and muddy trails with ease. Apart from that, these boots stabilize your feet, giving you the confidence you need mile after mile. You might be asking yourself why you should buy a pair of these boots and not the other options on the market. Well, you have a hundred reasons to do so. Similar to other hiking boots from this company, the Oakridge is comfortable to wear straight from the box. Unlike other trekking boots, you don’t need to break into them, as long as you’ve selected your size. And if you are looking for women’s hiking boots for wide feet, then you are also in good company. These boots have sufficient room along the sides of your feet, thus making sure that your feet have ample space to breathe and flex. Furthermore, their arch support is exceptional. These women’s hiking boots feature a mid-height cut, which helps to provide ankle support, especially during descents. If you have an upcoming moderate mountain hike, then these are the best boots to wear for the hike. If you are hiking in wet conditions, then you need a waterproof pair of hiking boots to keep your feet dry and warm. And that pair of shoes is none other than the Keen Oakridge. They are equipped with the exclusive Keen.Dry waterproof membrane, which prevents water from reaching your feet, even when you have to wade through multiple streams. And despite their exceptional waterproofing capabilities, these boots breathe superbly well. During your hike, you are likely to encounter high temperatures, which might make your feet to sweat. But as long as you are trekking with these boots, you will never experience any discomfort due to the accumulation of sweat. In short, they do a great job in allowing sweat and perspiration out while keeping water out. Comfort remains a priority regardless of the hiking season. The good news is that these shoes keep your feet comfortable, thus allowing you to focus on your hike. Their footbed comes with ample cushioning, thus delivering all-day comfort. Also, their footbed is removable and replaceable. As a result, you can always insert custom footbeds or orthotic inserts whenever the need arises. In addition, their traction is equally reliable, thanks to the multidirectional lugs. If you are looking for a reliable hiking boot that will keep your feet comfortable throughout your hiking trip, then you should not go any further. The Keen women’s Oakridge is suitable for your needs. A leather-synthetic hybrid, this shoe is inexpensive, yet well built and sturdy. It has a waterproof construction that protects you against the early morning streams, dew, and showers. The interior is well ventilated with a breathable mesh. The Omni-Grip tread allows you to tackle rugged and rough terrain and trails with confidence. It is designed for people who don’t compromise on comfort. You are either in your bed or in your shoes, so invest quality in both. In terms of basic hiking and standing comfort, this shoe does not disappoint. It is light and comfortable to walk in. On top of that, it wraps around the foot firmly, which implies that you will not have slipping, hot spots or blisters. Your foot will not suffocate when walking in this shoe. There is no arch pain when hiking in this shoe. The Columbia Women’s Newton Ridge Hiking Boots doesn’t not cause pain on the arches and ankles. The foot is adequately protected with a hard front, a toe bumper, and a midsole that has been made from molded ethylene foam. Your feet will be grateful for this piece of comfort. Although it uses a non-vibram sole, its traction is very impressive. You can hike different terrains without worrying of slipping or sliding. They are stable on the ground, even for rock climbers and all manner of outdoor activity. They shoes have been perfectly designed for walking even on snowy conditions. However, you can use them during any weather condition, whether it is raining or during sunny days. They still retain the same level of warmth and comfort throughout. The upper part of this shoe is made of pure leather, save for the tongue that is made from soft material. The laces are firmly placed over the boot forming a triangular D-ring. With this form of lacing, it is easy to tighten the laces without pulling and adjusting every single one. A single pull is enough and you can continue with your hike. The rubber outsole makes for a nice finishing and comes with two layers. The white rubber heel and the rugged outsole eliminate any cold or any uncomfortable feeling regardless of the texture you are treading on. Rubber and leather are some of the best combination when it comes to hiking shoes. Therefore, you will not have to worry about water destruction when you purchase these shoes. They have been manufactured with full grain leather, coupled with a water shield and stain resistant treatment. One thing you are going to appreciate about this shoe is the design. They are not your standard winter sports boots. The addition of leather increases their versatility coupled with looks, comfort, practicality, and protection. If you are looking for a standard hiking boot that is not expensive, then you try out this shoe. Weighing only 1.3 pounds, this shoe is lighter than most of the other hiking shoes. They imitate a simple fitness shoe for the indoors environment, but they can comfortably handle the water, the dirt and rocks in the mountains. What makes them uniquely lightweight is the mesh construction and simple lacing system. The laces are made from cotton with only four pairs of eyelets. You will find comfort in the ability to move fast and light in these shoes. These shoes have been lined with moisture wicking synthetic. The inner support and padding are comfortable on both long to moderate hikes. They are also suitable when walking around town, wearing indoors and for fitness as well. Despite the narrow sizing observed by some wearers, it runs to its true size. The Sugarpine is flexible on the toe area as well as forefoot as well as flexible and supportive under the foot. They provide sufficient arch support, with soft stretchy uppers and firm soles. After hiking many trails, you will observe that the soles will soften while the upper remains as soft as new. When hiking on moderate and well-managed terrain, it provides a comfortable and fitness shoe-like. They can be used in both moderate and steep terrain. Designed with the Numenton Hike Technology, coupled with torsional control and nylon shank, the shoe maintains a lateral stiffness from side to side. The lacing system is one of the simplest. Designed with only 4 eyelets for the cotton laces to pass through you can easily loosen or tighten the shoe on the forefoot. This provides a flexible bend when hiking. The tread pattern on this shoe is somehow uniform. When hiking under different terrain, the shoe is able to maintain traction, keeping you upright and well supported. Whether it is downhill grades or sandy gravels and granite slabs, the vibram soles on this shoe provides sufficient traction. From town to trail, the Sugarpine is stylish and casual in both design and fit. This versatility is best when you are hiking with these shoes. The technical design of the majority of the hiking boots you will come across lack a feminine fit. However, this shoe combines a stylish design and sturdy enough for hiking on the Sierra. A main feature of this shoe that cannot be overlooked is water resistance. A breathable mesh on the upper cannot be associated with water resistance in most shoes but mostly meant for airy feet. However, these hiking shoes have completely evolved, combining an airy mesh with water resistance. This can be attributed to the waterproof suede and leather combination. These shoes are supportive and comfortable while providing water resistance and decent traction. The durability provided by the breathable and synthetic mesh upper and vibram soles is outstanding. They are versatile and lightweight enough whether you are walking in town or hiking on the mountains. The feminine fitness and playful colour options are refreshing on a technical shoe. This original Timberland boot has been specifically designed to fit the feet of women. This shoe has been in the market for more than forty years. Significant improvements have been made along the way. Some of them include the addition of anti-fatigue comfort technology. However, this six-inch boot remains as dependable and sturdy as always. Designed with premium waterproof leather and seam-sealed construction, this shoe ensures that your feet remain dry always despite the weather conditions. This shoe fits perfectly those individuals who spend most of their time in shoes or travelling. When it comes to comfort, this shoe is excellent. There is no discomfort or pain, even when you wear them for extended amounts of time. This can be attributed to the anti-fatigue technology that gives you a lasting comfort. Before you forget, they come with 400 grams of thick insulation. Even in temperatures below freezing point, your feet will still be warm and snug. They remain waterproof, whether it is snow or rain. They have a padded heel and soft sole for optimal support. As such, your feet will always be dry. You will not have to worry about wet or soaked socks. As earlier indicated, these boots have been around for more than forty years. This has given the manufacturers enough time to handle any issues and integrate quality materials. The current design is premium waterproof leather. On top of that, it has semi-sealed construction so that your feet is always dry. In addition, there is a padded collar that cushions your ankles for pleasant mobility and fit. The external fabric is rust proof to ensure that your original timberland shoe does not look distorted due to wear and tear. The sole is made with rubber gum technology providing adequate traction on difficult and challenging terrain. The heel of the timberland is around six inches from the ground giving you adequate ankle protection and support. The steel shank provides additional support to the heel. These shoes have been very popular with celebrities within the past one year. They are surprisingly versatile and unisex. They look good when coupled with most outfits. The classic yellow is the main colour associated with timberland boots. However, many people are surprised to learn that the shoe is available in 17 different colours. They can go and look great with almost any outfit. The shoes do not fade easily, and their original colour can be restored using quality suede. These shoes have been built to last. That is why it is known as the premium work boot. Once you purchase these shoes, it will take you some years before you can even think of replacing them. If you are an outdoor person this is the type of boot you should go for. Timberland is known with manufacturing some of the longest lasting and toughest boots in the market today. If you are looking for quality boots offered at bargain, then Timberland is a great choice. They will serve you up to five years, and their timeless look is something that will always remain in style. This waterproof boot has been specifically designed with the form and needs of a woman in mind. Whether you are in wet or dry weather, these all-weather and waterproof boots will keep your feet fresh and comfortable. With a Vibram Multi-Sport sole, they provide great traction, especially for the outdoor enthusiasts. The mesh upper and the waterproof Dura leather plus the tongue keeps debris out of your shoe. A supportive and lightweight hiking boot, it is ideal for rugged and rough terrain. It combines performance technology and outstanding comfort to produce a boot that offers utmost protection during hikes. This shoe has most of the traits that you would want in a a good backpacking boot. They will not hurt your feet, while keeping them warm at the same time. Although they are not as physically appealing as other shoes, the durability and longevity offered by these shoes will be worth more. The uppers of these trekking boots have been made from polyurethane-coated waterproof fabric and leather. Therefore, they can endure and withstand all forms of weather conditions. Whether it is stormy weather or the light drizzles, you feet will always remain completely dry, comfortable, and safe, whenever they are inside these boots. The waterproof-breathable membrane, M-Select DRY, lets moisture escape, while keeping the weather out. They have been able to create a balance between comfort and stability. Water cannot penetrate your shoe and at the same time, moisture does not accumulate inside thanks to the breathable mesh lining. Your feet will be completely sweat and odour-free. They have padded tongues making it easier for you to tighten your laces when going for those long distance hikes. The bellows on tongue also keep debris out of the shoe. As such, your feet are always protected both from extreme weather elements and from debris. The internal part of these boots comes with EVA insoles that can be removed for cleaning or replacement. The midsoles have been manufactured with M-Bound technology and moulded nylon shank for maintaining protection and balance. They also offer you freedom of movement without worrying about blisters or aching feet. They are easy for mobility, incredibly flexible and rested feet at the end of a long hike. The midsoles have been fitted with air cushion heels that offer extra stability and shock absorption. This implies that hiking in these shoes will not lead to painful and thick blisters on your feet and heels. Additionally, you will not feel any of those painful cramps. The out soles of this hiking boot have also been designed with M-select rubber combined with 5 mm lugs. You are definitely going to enjoy hiking when wearing this boot. Apart from the outsoles, the shaft and the rubber outsole is at a considerable distance from the arch. As such, it cups the entire foot nicely. The shoes are medium weight, not too heavy or too light. Therefore, walking in them feels comfortable giving you a good posture. When it comes to supportive footwear for outdoor usage, you should always go for quality. A hike requires sufficient preparation, and one main factor is nice trail boots. The Merrell Hiking Boots will give your feet a nice feeling and they are available in different colours. The Lowa Renegade delivers dependable traction and stability. Wrapped in upper leather that is water resistant and sealed with a waterproof and breathable inner, this hiking boot is designed to ensure maximum comfort under all conditions. It provides superior stability, lightweight comfort, and excellent water resistance. The Vibram EVA sole on this trail boot ensures proper contact with any hiking terrain. The midsole is designed with the monowrap technology. With the monowrap technology, the boot up to the sides is articulately wrapped with polyurethane wraps. This ensures underfoot protection, greater shock absorption, stabilization, and durability. The midsoles are long lasting and durable. They are also environmentally friendly, since they do not require annual adjustment or replacement. In fact, some of the boots manufactured by this company can last up to five years. That is double the age of most women hiking boots. Although many people argue that, the nubuck leather uppers are not as agile as other materials such as recycled nylon and mesh, the durability they provide cannot be matched. You only require a few days hiking and the upper leathers will become flexible and soft. These trail boots have up to 4.5” ankle height that is very vital for stabilizing. They support the ankle and create a good posture while also creating a water barrier due to the height. Comfort is a very important consideration when purchasing hiking boots. The thick padding around the tongue, upper and ankles is excellent. The lacing system is easy to set up. Once you tie them up in the morning, you will not have to re-adjust them again. They will remain comfortable and well secured throughout the day. The seamless, breathable, and waterproof Gore-Tex membrane lines the interior part of the boots creating a water barrier and allowing moisture to escape. As indicated earlier, the ankle shaft is up to 4.7”. This means that the shoe can withstand a depth of up to 4.5” in wet conditions, which is not a very common feature in most backpacking boots. You can walk through grass covered in dew and cross creeks without having to worry about wet feet or soggy socks. Snow and rainfall falls off the upper leathers of the shoe, without finding the interior part. This is one of the most durable hiking boots. The manufacturer guarantees that the shoes can last up to five years. This can be attributed to the leather design, and doing away with the mesh materials. Whether you plan to backpack, day hike or hike through the high alpine regions, this hiking is suitable. This trekking boot delivers exceptional foot stability and support. However, it still manages to remain reasonably light on the trail. It is a rugged, comfortable, and dependable boot for both warm and cold environments. With a Gore-Tex lining and a gusseted tongue design, these shoes are ultra effective in keeping your feet debris-free and dry. With excellent grip and traction, the Renegade is a top choice for heavy trail and cold weather. Hi-Tec has been making shoes for more than 70 years. They are a reputable and trusted brand when it comes to hiking shoes. From a looks and style perspective, this shoe has a very technical style. The upper part is made of waterproof suede leather combined with mesh that has striped nylon straps alongside it. There are different colour combinations to choose from, such as camo, olive brown, gold, and mustard, among different variations of the four colours. Comfort is the first thing that comes to mind when looking for hiking boots. The boots have been fitted with a foam-contoured insole. However, the insole is removable and you can add or replace with a preferred one. The collar and the tongue of these outdoor boots is very thick. As such, you are provided with a good cushioning surrounding the upper foot and the lower ankle. However, this feature has been designed to work with the laces. The padding is just enough to allow proper lacing. The moisture-wicking lining on the Banderas will keep your feet dry at all times. They are very comfortable when walking with them during medium to light showers, since they keep all the water out. These shoes weigh around 20 oz that is not heavy for a backpacking boot. Looking at the nature of construction on these boots, this weight is a reflection of that. They are not heavy for day hiking, while still sturdy enough for backpacking trips. In terms of sizing, this hiking boot presents a wide range of sizing options. Therefore, you can order them a size up to allow for thicker socks. The shaft of these trail boots measures around five inches from the arch. This is the average for most boots in the mid hiking category. On top of that, the ankle has been supported with a steel shank to ensure stability and support while moving. As highlighted earlier, the upper foot area and the ankle are protected by a thick padded tongue of around six inches. On top of that, the tongue on the Banderas is gusseted; this has been done intentionally to keep out debris. The midsole is designed using EVA technology. This material has good impact and stress resistance. The outer sole has air pockets that provide support cushioning. The cupsole is made from traction rubber; the outsole is carbon rubber with non-marking and multi-directional traction to ensure added grip. These hiking boots are best used for light to mid hiking, especially on well maintained tracks and trails. Considering the very reasonable price, they have been designed to handle light and short day hiking. For those who go for fishing trips, this is another good use for this amazing pair of boots. The Banderas are good entry-level boots and a good value for money. The Banderas is a respectable brand and they have not disappointed on this boot. It is comfortable, stable, and supportive. The boot is sturdy enough to handle the challenges presented by hiking. Designed with cutting edge footwear technology, Ariat are some of the most advanced hiking boots. They come from a line of backpacking boots that provide support and durability, exceptional comfort, design and styles and different colour choices. Manufactured with full grain leather and a waterproof membrane, you are assured that you feet will always remain dry. Adventurous and lightweight, this pair of boots offer protection and comfort for active feet. The uppers are made from Cordura material that is breathable, extremely durable, and lightweight. Long-lasting traction is guaranteed thanks to the Duratread outsoles. They are suitable for all forms of hiking. In terms of comfort, these boots go full length. A rubber outsole and a leathered top combined with a super comfortable midsole give you a comfortable hike. They do not burden your feet even if you walk for long hours in them. The Cordura moisture wicking and full grain leather will save your feet from all sorts of weather conditions. You socks will always remain dry, keeping your feet incredibly warm. The padded collar with the addition of pull-on loop adds to the comfort. The midsole is manufactured with EVA technology. The shaft is around four inches from the arch. It feels like you are having a free foot massage, every time you put this shoe on. The heel is narrow enough to make sure that these boots do not slide around when you are walking. You are never going to experience any arch pain, when you are wearing this shoe from Ariat. The boots are nicely raised from the ground. It is not too low or too high. You are not going to experience any winter cold with this pair of boots. Designed with Advance Torque Stability, the shoe gives the foot ultimate stability and encourages a good posture. Your back is straightened, you adopt a good posture, and you feel more confident in these shoes. The Ariat women’s hiking boots are easy to put on with no pressure around your ankles. There is a round toe at the front part of the shoe with a rubber toe bumper for double protection. This is to ensure that your toes will never get hurt. These backpacking boots have enough space at the front, which gives you enough space for foot movement and no stress on the foot. If you are one of those people who get that occasional plantar fasciitis, these shoes will give you the comfort you need for long hours. The laces are long enough to cover from the toes to the ankle giving you a fantastic closure for great fit. The Duratread outsole is self-cleaning. On top of that, it provides the shoe with performance and durability in every terrain or condition you might find yourself in. If you are looking for a shoe to take a monkey to the Zoo, then this is the one for you. These boots are not only for hiking, you can work with them round the clock without any discomfort. They are made from full-grain leather to give your foot adequate protection. The Vasque Breeze is an athletically built and supportive mid-weight hiker. It can be purchased together with a waterproof membrane and sometimes without, depending on the preferences of the user. In terms of traction, breathability, and comfort, this hiking boot ranks high. It is one of the most supportive and stable trekking boots. Although it is a mid cut, its cuff rises well above the ankle providing foot control and more protection when hiking steep trails that have loose rocks. It has been fitted with a thermoplastic urethane plate mainly for stability. This provides you with the required midsole rigidity for exhausting and long hikes. With a narrow heel box, your instep will feel locked down, which will prevent slippage on those steep trails. Although it appears brawny, the comfort provided by this boot is surprising. The cuff is flexible with enough padding thus providing gentle support with no bruising. Despite the muscular appearance of the boot, the Vasque Breeze is very responsive and agile. In terms of comfort, one of the best features added by the manufacturers of this hiking boot is the gusseted tongue. It stays comfortable and flat on your front foot while still keeping out rocks and sticks. The large eyelet hooks, together with this tongue make it lacing very simple and easy. The shoe is comfortably spacious and comes in wide and regular versions. As such, you will easily find a fit comfortable enough for your foot. They are specifically designed for women’s feet that have higher arches and narrower heel cup than men. The burly mesh and leather upper is top quality. There is also an additional bonus of the metal lacing hooks. Durable, thick toe bumpers and rubber heel add durability and protection. A nubby and super aggressive outsole provides adequate grip even on slick and muddy areas. You will also appreciate the thin reflective metal strip fitted on the back of the cuff. The Gore-Tex membrane on this boot holds up well on the feet. It keeps them dry and away from water. This shoe remains one of the most breathable trail boots among those fitted with a Gore-Tex membrane. Since it is a midweight hiking shoe, it is supportive enough for day hikes or backpacking trips on rough terrain. It is a relatively inexpensive shoe. I consider its price to be a fair, recommended retail price. The Vasque is one of the most impressive hiking boots. Much as it might feel like a backpacking boot due to the substantial midsole, the tall cuff the Gore-Tex liner and the stability plate, the overall responsiveness, and comfort make it feel like an athletic or fitness shoe. Vasque is committed to making aesthetic, innovative, and functional footwear with the highest standards of performance. The Danner Light Cascade pays tribute to the Danner’s Iconic boots and styles that were very popular in the 70s. It is believed to be one of the greatest backpacking and hiking boots of all time. Manufactured in Portland, Oregon, this trekking boot features a full-grain and rich leather upper combined with the iconic flat red laces. The rough Vibram Kletterlift outsole provides the perfect fit both for casual or outdoor environment. 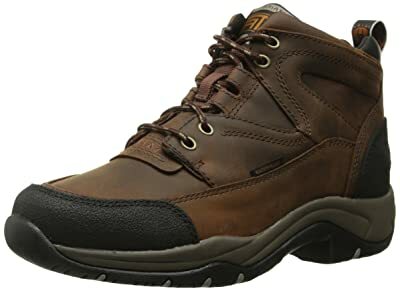 If you are looking for a heavy-duty comfort-hiking boot, then the Danner fits well in that category. The shoes are made in the US and they can be tooled and re-crafted to appear new after you have used them for several years. The stitched down sole can be replaced easily if you feel it is too worn out. In simple terms, this boot has been built to serve you for many years. The full grain and high-cut leather upper provides the ankle with enough support, even when exploring rocky terrain with a 50-pound backpack. The Vibram Kletterlift outsole provides great traction when hiking through trashed trails. It also ensures that the boot does not drag mud along, for easy mobility and movement. The Light Cascade Hiking Boot is fully waterproof. This can be attributed to uniform leather construction that has minimal stitching and Gore-Tex liner technology. Breathability is still good in summer considering the boot is all leather. With warm socks and good gaiters, hiking through snow is a breeze. Many people always have problems finding the right shoe fit for their feet. When it comes to Danner, you will get a hiking boot that is a perfect size for your feet. What you will need to do is to measure both feet. Sometimes, one foot tends to be slightly larger than the other one, therefore, the size selected should be comfortable and sizeable enough to fit both feet. You also need to think about the type of socks that you will be wearing with this pair of boots. If you prefer thicker socks, then consider a half size larger than your normal size. Once you receive your boots, walk around with them for a while to determine your right fit. These shoes have been properly crafted and well made. They are beautiful hiking boots. However, the design and aesthetics does not take away the functionality promised by Danner. They fit your feet perfectly and provide sufficient support while still leaving your feet with enough room to wiggle your toes. If you are into iconic, quality, and classy designs, then these Danners are suitable for you. The pricing is reasonable if you consider the high quality that you get in return. The Salomon Quest 4D II GTX signifies the latest design in hiking boots. This midweight boot provides enough function and comfort. On top of that, it gives the ankle stability and support that backpackers and hikers expect from a boot such as this. Fast packing is another important feature of this shoe. It is lightweight thus allowing you to cover long distances with minimal fatigue. From the ground going up, this is a boot designed for high performance. Stable enough to handle harsh terrain and nimble enough for runners, it covers all miles comfortably. With a Contagrip sole, the boot offers excellent traction despite the surface, whether off or on trail. It also comes with a 4D Advanced Chassis that provides great torsional stability and foot support. The uppers have been made with different materials for added support and flexibility. The comfortable ankle collar will give you peace of mind even when rolling down those steep terrains. One thing you will notice when wearing this boot is the heel design that is slightly raised. Although it might take some few minutes to get accustomed to, your feet will feel great when hiking through all sorts of terrain. The forefoot area is roomy and nice. The lacing system of this model is among the best. Once you lace up in the morning, you will not have to worry about it the entire day. This can be attributed to the lace hooks found close to the ankle. The laces can stretch freely depending on your movements. The combination of nubuck leather and nylon is decently flexible. The underfoot is not stiff. Therefore, you can remove it straight from the box and set off hiking. Waterproof hiking boots tend to be warmer during hot weather. However, this boot has been cleverly crafted to ensure breathability under all conditions. It integrates nylon mesh panels that ensure the the GORE-TEX liner breathes comfortably. This brand is widely recognised for offering water resistant Salomon boots that are still breathable. A nice fit around the ankle and foot contributes to a truly stable and impressive trail. Even when loaded with a backpack full of hiking gear, you will still be stable in this hiking boot. One of the contributors of this great stability is the tall height of the boot. It wraps around and over the ankle easily. Underfoot stability is ensured by the 4D Advanced Chassis that delivers utmost lateral stability without an excessive stiff midsole shank. Moving away from the Vibram soles employed by most manufacturers, Salomon uses their own Countagrip rubber for their outsoles. This material is widely popular for its dependable traction. Salomon has incorporated the reliable GORE-TEX Performance Comfort technology to manufacture the liner of this shoe. Combined with the leather construction, tough nylon and gusseted tongue, the Quest 4D is a high performance shoe in wet conditions. The external fabrics shed water properly. Even after extended raining in the bush, your feet will remain warm and dry. If you are looking for a boot for backpacking and fastpacking in rough terrain or sloppy conditions, then you should go for this boot. You will lover the updates made in this shoe from the previous version. Above all, it is offers an all round performance. Designed and manufactured by Oboz Footwear, this hiking boot comes with an all-leather upper and an extra comfortable collar. The shoe is completely waterproof, and does not require any break-in time. It is stable and sturdy for hiking under all forms of trails and surfaces. It features a BFit Deluxe Insole that stabilizes the arch and protects it against high impact zone. You can move with your 50-pound back comfortably while wearing this hiking boot over rugged terrain without feeling additional stress on your feet. The support for this shoe mainly comes from the full-length nylon shank, the EVA midsole and combined with a hard-plastic frame in the interior part under the arch and midfoot. With all leather, uppers and tall rubber rands wrapping heel and toe easily deflects stones, branches, and other debris. The Oboz Women’s shoes come with a molded heel counter that ensures a snug heel hold that is built to last. The heel counter is extra durable preventing it against collapse. The 4 mm deep lugs grip well when subjected to different terrains. After seven months of use, you will steel be enjoying those trails, without fear of slipping or sliding. The outsoles are high friction and non-marking rubber that ensure tough grip when under different directions. These hiking boots have been designed with quality footbeds with a well-defined arch for providing optimum support. Your feet will rest perfectly inside these boots. Thermoplastic urethane forefoot plates and nylon shanks offer the necessary protection underfoot and torsional stability giving your more surety on different terrain. The midsoles, designed with EVA technology are dual density ensure that you get sufficient cushioning while keeping the boost agile and light. The lacing system is intuitive and comfortable. You just need to adjust it in the morning when setting out and you will be set for the whole day. The uppers, made from Waterproof nubuck leather provide the right amount of protection and breathability maintaining your feet dry during those long hikes. These shoes do not require an extended period of breaking in. You just remove from the box and they are ready to hit the trail. The breathable and waterproof membranes keep soggy material out and at the same time allowing moisture and water vapour to escape. This keeps your feet feeling comfortable and cool and without retaining odour. These shoes have enough room inside. You can even wear them with thick woollen socks and your feet will remain warm and snugly inside. The wick moisture lining made from nylon mesh dry quickly further enhancing breathability and dry shoes. You can walk in these shoes regardless of weather conditions and they will not leak water inside. If you are looking for a shoe with aggressive traction, good ankle, and sole support, and a waterproof shoe, then this is the right fit. You can use it on both rugged and well-maintained trails. Since it is waterproof, you do not need to worry about creeks and streams. It is a suitable shoe for backpackers and light packers alike. They are durable shoes that have been built to last for many years. During the course of your hike, you are likely to encounter rocks, trees, twigs, and other forms of debris. Also, you might sometimes have to wade through shallow rivers and streams. But as long as you are wearing the Asolo Tacoma GV, you can hike with confidence without worrying about your feet. These women’s hiking boots are made of a sturdy suede and leather upper, which is combined with high tenacity nylon, to ensure your boots are as durable as possible. The uppers are water resistant. Therefore, they will protect your feet against moisture, thus making sure you don’t experience any discomfort. Apart from its water resistance capabilities, the upper is also breathable. When you are trekking with these boots, your feet will always remain cool and dry. A gusseted tongue keeps trail debris out while a padded ankle cuff provides additional comfort and ankle support. These lightweight hiking boots are further furnished with Gore-Tex waterproof linings. Gore-Tex is renowned for its exceptional waterproofing protection and breathability, thus keeping your feet comfortable, cool and dry. These boots also feature moisture-wicking nylon linings. As one of the top-rated hiking boots for plantar fasciitis, the Asolo Tacoma GV comes with plenty of cushioning to protect your feet against abrasive surfaces such as rocks and roots. And despite its lightweight design, these boots can support medium pack backpacks, without exerting unnecessary pressure on your joints or slowing you down. If you are planning to go for a hike that goes for a week or two, then you should consider these boots. They feature molded EVA midsoles, which provide lightweight cushioning and shock absorption. On the other hand, Asoflex TPU plates provide torsional control and stability, while protecting your feet against uneven terrain. Whether you are hiking during winter or summer, the Asolo Tacoma GV comes with adequate traction to give your feet a firm grip on the ground. They feature a Vibram rubber outsole, which are optimized to provide a firm grip on the ground during ascents or descents. Also, these outsoles are self-cleaning, which helps them to get rid of the gunk. In addition, these shoes are resolable. Therefore, if the sole wear out and the upper is still in great shape, you just need to take your boots to an experienced cobbler, who will replace them and extend their life. If you are looking for hiking boots that offer ample cushioning, excellent protection, adequate traction, and superior comfort, the Asolo Tacoma GV should be an obvious choice. They are adequately equipped to deliver a dependable performance on all terrains. This New Balance boot has been designed with a stylish look that fits the city, combined with a waterproof protection for the adverse weather elements in the bush. This mountain hiking boot provides both the city comfort and the stability required to handle the challenges presented by the rugged trails. It comes with a waterproof leather upper, coupled with a gusseted tongue and a waterproof membrane to ensure that your feet remain warm and dry. For toe protection, the boot has been fitted with an overlay, which is abrasion resistant. Perfect grip is guaranteed, thanks to the durable rubber outsole. Lateral posts and Rollbar medial handle stability. Hiking enthusiasts looking for a stable boot for hiking should try out this shoe. If you purchase them for intense hiking, then you can be sure they will provide you with arch support and ankle support for longer hikes with no injuries. They are waterproof enough for hiking in winter weather. At the same time, they are light and breathable enough for summer hiking and trails. The double stitching at the front ensures that your toes do not get hurt when you strike your foot against rocks and branches. This hiking boot is true to its size and very comfortable. You do not require a break in period and you can wear it straight out of the box without any blisters. You can even include a thick pair of socks for winter hiking and your feet and toes will still have enough room inside without feeling suffocated. You can even insert your orthotic insoles without any issues. It is available in different colours. You just need to choose your preferred colour and you are ready to go for a walk, a hike or even a road trip. Whatever you fancy! You can wear this shoe all day without feeling uncomfortable or the urge to remove them. They are very warm and snuggy. There is no chaffing, sore feet or rubbing at the end of the day. If you struggle with plantar fasciitis due to wearing shoes that do not provide good support, then this will never be an issue again, once you purchase these shoes. On top of that, you will not have to worry about your toes feeling squeezed. A very important feature when it comes to selecting a good outdoors boot, is the ability of being waterproof. Conditions change very fast, especially on mountainous ranges. You need a trekking boot that can cross creeks and streams, and still maintain your feet dry. This hiking boot provides just that. The thinsulate lining and the leather uppers make sure that moisture and water does not leak inside the shoe. You can even hike through deep snow and your feet will remain dry. They shed mud and water pretty fast, which is a good thing for a hiking boot. The New Balance women’s hiking boot has been designed for both the casual walker and the hiking enthusiast. It is lightweight and stylish for daily walking, and sturdy enough for long day trips and backpacking. You have probably come across hiking boots that take weeks or even months to break in. And even when they do, they will not be as comfortable as you would wish. Well, you don’t have to go through all those challenges, as long as you are trekking with these boots. Even if you have wide feet, these shoes will provide a snug fit while leaving ample room around your toes. And when you encounter steep inclines, these shoes will hold on to your feet, without any form of slipping. They are equipped with a padded collar and tongue, which provide ankle support while making sure that the laces don’t exert excessive pressure on your instep. Apart from that, the bi-directional ankle flex ensures ease of movement, even when you are hiking on technical trails. If you are going for a long hike, then you should get yourself a pair of these boots. Their breathable upper allows sweat and perspiration to escape, thus keeping your feet dry at all times, regardless of how long you will be hiking. And despite their comfort and sturdiness, they are surprisingly lightweight, thus making sure that you remain light on your feet. The Scarpa women’s Kailash is equipped with a Vibram outsole, which delivers superb traction while enabling the boots to perform well on various terrains. If your trek takes you across muddy or wet terrains, then you can always rely on these boots to get you to the other side. Their sole unit features deep, multi-directional lugs, which provide a firm grip on the ground. From snowy conditions to loose terrain, these boots will make sure that you don’t lose your footing. Furthermore, their shaft rises 5.5 inches from the arch, thus protecting your ankles. These also come with a toe-guard, which protects your toes, whenever you stub your foot against a rock or a tree trump. Apart from protecting your toes, the toe guard also enhances the durability of these boots. Hiking with a heavy load on your back can sometimes take a toll on your feet. After all, your feet have to bear most of that weight. But as long as you are wearing a beefy pair of shoes such as the Scarpa Kailash, you are assured of comfort as well as an excellent performance. They will keep your ankles stable, while the underfoot cushioning will prevent pain in the knees and back. Due to their solid heel cup and their brawny design, these boots are best suitable for heavy backpacking. If you are looking for a lightweight and comfortable hiking boot, then the Adidas Terrex Swift R might be the solution to your needs. This premium-quality hiking boot offers more while demanding less from you, thanks to its grippy outsole, a comfortable fit as well as a minimal break-in period. Apart from being sturdy, well-rounded and true to size, long-distance hikers love these boots due to their excellent stability. These shoes come with an upper made of ripstop style nylon, combined with synthetic overlays. These shoes are exceptionally durable, even when you rub your feet against sharp rocks. Furthermore, the uppers are almost impervious to debris and dust. On the other hand, the Gore-Tex liner prevents entry of water into the shoes, while allowing perspiration to escape. Therefore, it regulates the internal temperature of the shoes, thus making sure that you can hike in comfort. On the other hand, the stitched nylon overlays wrap around the midfoot, thus providing superb lateral stability while preventing unnecessary movement of the foot. Regarding performance, you will be happy to know that these uppers can handle almost any terrain that you encounter, including steep downhills, uphills and sidehills. The upper part is further reinforced with a rubber rand that runs around the base. Apart from protecting your toes, the rubber rand improves the durability of these shoes. The midsole features the Adidas Adiprene EVA, which is both responsive and firm. These boots are supportive and stable on all hiking surfaces – even when you are trekking with a heavy pack on your back. You will also notice that they are quite torsionally rigid, thus providing underfoot support especially when trekking on rocky trails. The outsole and the midsole are slightly decoupled, which means that the heel section can adjust independently. This feature will come in handy when you are ascending steep inclines. Furthermore, the supportive and firm midsole will protect your feet across various terrains. If you are going for a backpacking expedition and you are looking for a pair of boots that can handle demanding conditions, then you should go with these shoes. The outsole unit is where the Adidas Terrex outshines its competitors. It uses a Traxion setup, featuring L-shaped lugs. This outsole supplies great grip and traction on a wide range of surfaces such as jagged rocks, loose paths or even sandy trails. Overall, these boots are a great choice for anyone looking for protection and stability. Their outsole is comfortable and supportive, the midsole unit supplies adequate cushioning and protection while outsole ensures that your feet remain stable on the ground, wherever you go. The uppers of these boots are made of Aramidic fiber rands. The use of Aramidic fiber – which is tough and sturdy, enhances their protection while improving their durability. They are also equipped with a Gore-Tex membrane, which protects your feet against water and moisture. As much as these boots come with a waterproof lining, it doesn’t compromise their breathability in any way. The toe area is reinforced with a rubber rand, which protects your toes as well as improving the sturdiness of the boots. Both the tongue and collar are adequately cushioned to give your ankles the support they need when you are hiking. You will also notice that their lacing system extends all the way to the toes, thus making it easier to obtain a customized fit. Most hiking boots from this brand are equipped with multi-fit footbeds, and the Firetail EVO is no exception. With this design, you choose the number of footbeds that you want to use, depending on your preferred size and fit. For instance, if you have wide feet, you can use a single footbed while those with narrower fit can use two footbeds. The use of multi-fit footbeds provides you with great support while giving you a snug fit. The footbeds also come with an odor control feature, to ensure your feet remain fresh, even when you sweat. Their insoles are cushioned enough for comfortable walking, without feeling too heavy. Traction is one of the most important features of hiking boots. Without adequate traction, you might lose your footing, leading to tripping hazards. Luckily, these boots come with Vibram Scrambler outsoles, featuring a unique sticky compound. Thanks to this special sticky compound, you can use these boots to hike across 3 seasons. On the other hand, the self-cleaning tread pattern prevents the buildup of snow and mud, therefore keeping you light on your feet. This is an extremely stylish and lightweight boot for all your indoor and outdoor adventures. They provide superior comfort and pressure relief all day long. It’s extra deep and comes with leather laces. Straight from the specialty collection, they are available in Velcro strap and no-tie elastic laces making convenient and super easy closure. The outside is made from top grain leather, while the inside has ample padding to bring comfort closer to you. These shoes are attractive and supportive relieve fatigue and stress whether you are hiking, standing, walking or working. These shoes are also suitable for people with sensitive or painful feet, as well as arthritis and diabetes. Designed with top quality materials, the uppers of these hiking boots have been made from top grain leather. They wrap comfortably around the feet providing breathability and extra comfort. The mesh and lycra materials are also top quality. With these materials, you are assured that the shoe will withstand wear and tear for many years. The padded tongue improves fit and reduces friction. The outsole on these shoes is lightweight, non-skid, and long-wearing. It is designed to last and offers good traction and firm grip, over different surfaces. The padded tongue also helps to keep out rocks, leaves and sticks from finding their way inside the shoe. This shoe is sold together with free gel inserts. These inserts will help your foot to maintain a lateral and medial stability for the right biomechanical support and balance. They also provide shock absorption that helps to reduce stress on the joints. The heel pad and the gel metatarsal pad increase foot comfort and prevent irritation. The shoes have been given an extra depth thus giving you the support you need. They have also been recommended by podiatrists as suitable for plantar fasciitis. This shoe has also been recommended for people suffering from swelling, bunions, flat foot, hammer toes and neuropathy. The Dr. Comfort Vigor Women’s Therapeutic Diabetic Hiking Boot has a roomy and protective toe box. This protects additional protection to the toes, to prevent toe stubbing and such impacts. The leather lining on these shoes ensures that your feet remain cool and dry. The incorporated smooth leather linings also prevent any injuries that might be caused by the foot rubbing against the stitches. They can be used all year round, in different weather conditions, since they are breathable and waterproof. They don’t retain sweat or odours inside the boot, thus suitable for long distance hikes and long day backpacking trips. Dr. Comfort is a trusted brand when it comes to therapeutic footwear. They went a step further with the Vigor by producing a shoe that can be used for everyday work, without creating pressure on the joints and feet. It is a stylish shoe, designed with high quality materials, to serve you long. It provides good traction on different surfaces. Additionally, it is waterproof, which makes your hiking even more adventurous. Whether you are hiking in the Sierra High Route, or just exploring the Alpines, the Zamberlan is your go-to hiking boot. The shoe features an upper made from Hydrobloc full grain leather. A performance comfort liner manufactured with Gore-Tex technology ensures your feet remain snug. A vibram sole provides high traction wherever you will be hiking, making sure that you are always ready for the challenge. The leather used to manufacture those boots does not absorb water. The hydrobloc treatment used repels water, similar to a coating of wax. You can hike through a downpour, cross streams and creeks and have a great time without dealing with wet feet. Water levels can reach up to the ankle, and the interior of the boot will remain warm. The Gore-Tex performance membranes provide you with utmost breathability and protection. The wicking nylon collar that lines the interior part of the boot controls excess moisture that might collect around the ankle. Unlike other manufacturers that simply downsize male shoes to create a female version, this shoe has been designed with ladies fit technology. This makes sure that the shoe provides the right anatomical fit specifically for women. This boot is specifically designed for hiking. Its insole and shank are very stiff to ensure stability and balance when moving. These backpacking boots fit comfortably giving you a full contact with all surfaces, both off-road and on-road. They allow rearward and forward flexing of the ankle with minimal side movement. The shoes are very snug and well padded. The boot is stiff and supportive thus perfect for rough and rugged terrains. Despite that, it is agile and mobile enough for easier going. The boot is conservative and enough for numerous purposes. The boot has been designed with proper anatomical shaping especially for women’s feet. The ankles are well protected by the soft collars. The heel padding and plush tongue bring additional comfort. As such, you can wear this boot for extended periods without bruising your feet. The boots have top quality traction. They provide firm grip on all forms of surfaces whether slipper, rocky or wet. The footbed has been topped with leather, with the addition of 5 mm cushioning. This means that the boot gets to mould around your feet, the more you wear them. They also come with synthetic woollen panels that are both functional and stylish giving protection to the upper parts of the ankle and relieving the extra weight. These hiking boots have been manufactured with high quality leather and strong stitching everywhere. The shoe holds up well without falling apart, regardless of the terrain or surface. The leather is properly anchored on the vibram sole with proper stitching. The design is elegant, sleek and specifically designed for women. This hiking boot is specifically designed for all manner of trails. it is expertly crafted with top quality materials. It is packed with safety and comfort features for excellent durability and traction. It is perfect for adventure travel, outdoor work, and hiking. These boots come with uppers made of tight weave textile, combined with suede. This combination of materials results in a durable and lightweight pair of boots. You can use them during extended hiking sessions, and you will barely experience any form of fatigue. Also, these are ready to wear straight out of the box. Unlike other stiff hiking boots that take forever, you just need an hour or two to break into these hiking boots for women. Their lacing system is easy to adjust. The two overlays around the forefoot area ensure that your foot remains firmly in position, thus minimizing unnecessary movements. Both the tongue and collar are adequately padded to provide your ankles with reliable support and protection. The eyelets around the ankle are made of metal, thus adding strength to the entire system. These women’s hiking boots also feature a pull-on tab around the rear, which makes it easy to put them on and off. They are further enhanced with rubber overlays around the toe area and the heel area, to improve their durability. Furthermore, the use of the proprietary Under Armour storm waterproof membrane provides water resistance, without compromising their breathability. You can even walk through pools of water, and your feet will not become wet. The use of flexible materials on the upper makes it easy to pack these boots into your backpack. If you are hiking in an area with rugged terrain, your feet can be subjected to underfoot abrasion. However, as long as you are hiking with the Under Armour Post Canyon, you will not have to worry about such issues. They come with a lightweight EVA midsole, which supplies all the cushioning you need. Once you step inside these shoes, your feet are immediately wrapped in comfort and warmth, ready for your hike. The Under Armour Post Canyon features a high-traction rubber outsole, designed to provide adequate traction and grip on different hiking terrains. Whether you are hiking on mud or slippery rocks, you can walk with confidence knowing that the sticky rubber outsoles will keep your feet firm on the ground. Also, you can use them to hike during hot summers and milder winters. Under Armour has always been a reliable footwear manufacturer. And with the Post Canyon, you are getting a sturdy but a lightweight pair of hiking boots, which will protect your feet against all the hazards you might come across during your hike while maintaining great levels of comfort. 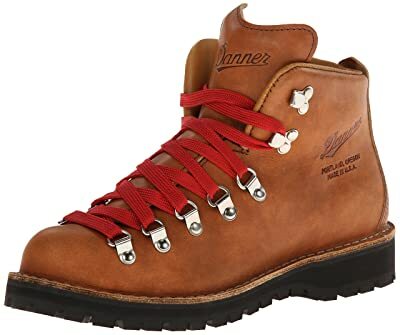 Go to the men’s hiking boot reviews for 2019. Awesome informational reviews! I learned a bunch about working boots I did not know, especially weight, construction, orthotic design. Very helpful. Thanks for your kind words, my friend. I’m glad my reviews helped you! Have you ever reviewed Cabela’s Meindl Perfect hikers? They seem like a great boot, but I can’t find a lot about them from people that have tried various ones. They are pricey, but german made and super comfy when tried on instore! Trying to decide between them and the Keen Targhee. I had heard of Meindl’s Perfekts earlier, but have never owned them on myself. I agree that they look like great boots from the outside, but will have to trust your judgment on how they feel on the inside, since I’ve never tried them on myself. Thanks for pointing them out, though. I might review them one day. The KEEN Targhee IIs are also pretty darn good. I’ve worn out multiple pairs over the years and I keep coming back to them! Very useful. I was looking for reviews on hiking boots with good support and I was struggling to find any such information until I found your article. Thank you. Thanks, Anita. You just made my day! Very helpful and timely article! I am looking for waterproof hiking boots to take on my Alaskan cruise this summer and will reference your page as I make my selection. Thanks a lot, Lisa. I’m glad the Boot Bomb was of use to you. Will you let us know which boots you ended up with and how you liked’em? Good bio on each of the boots! Thanks! What type of BWCA backpacking boot would you suggest for me? I have a narrow heel, but wide feet? Vasque brand does not work for me. A narrow heel and wide feet, eh? That’s a really tough spot to be in! Have you tried the Targhee II? I got the Keen Targhee II and LOVE them. So comfortable and lightweight. I own several pair of Keen and they always fit perfectly. I did size up on these. Those Targhee IIs are the top dog shoes for a good reason. I’m glad you are enjoying them. And thanks for letting me and my readers know about how the size worked out for you! Great site. Just spent a lot of time on it. I am looking for a very lightweight, waterproof hiking boot. I tend to have a wide toe with Morton toe and a narrow heel. Have tried Vasque and others in the past even in wide and they never worked. I am a big fan of Merrell, I have youth Moab mid. But I think I want something over the ankle for more ankle support since mine tend to roll. Problem is I am recovering from fracturing the lower part of my fibula, from an ankle roll so I am a bit concerned about pressure on the fracture site. Looking at the Ahnu Sugarpine, any other suggestions? The Ahnu Sugarpine is a really good one. Looks good, too. One other boot that I know runs bigger than usual, is the Ariat Terrain H2O. I’d be interested in that one, if I had wide feet! I’m fairly new to the hiking world. I’ve done many short daytrips but looking to expand my range into longer, more challenging hikes, with the aim of long backpacking trips in the future. I’m going on a trip in April and most of my time will be spent doing semi-challenging daytrips. However, I have wide feet and a weak right ankle from repeated strains. From reading your articles and several others, I’m really interested in the Merrell Mid Waterproof…do you think this will be a good choice? I’m really looking for ankle support (simply because I do have that weakness issue to deal with- I’m very prone to ankle rolling or ankle swelling from repeated use) and something that is lightweight. Also interested in mud resistance…I’ve had trail runners with very poor design in that regard and end up being gritty and stained for ages! Thoughts on the Merrell? Thanks so much for all of your input! It is greatly appreciated. Having ankles that require support, but that also swell up… that’s a tough spot to be in. On one hand, you’ll need boots that give you ankle support. On the other hand, you’ll need to have enough room to accomodate swelling. Then again, it’s possible that well supported ankles don’t swell too much. Let me know if this helps. And good luck on your hiking adventures! Wow! Thank you Brian for this informative post. I’m an outdoor lover and a hiker and i think this is the best time to invest in some good boots. It’s always a good time to invest in good boots, Carolina! Great article- almost too much info. I need a hiking boot for some short day hikes in Colorado. I’m new at this at 66years. I want something light weight with good ankle support. If you want lightweight boots, then you could go for either the Danners or the New Balances. Hi i suffer from hyperhidrosis (a serious medical condition involving profuse sweating of the feet) and am going trekking over multiple days in warm weather, which boots would you recommend would be the best for wicking away the sweat? I’d go with the Ahnu Sugarpines in this list. They will keep your feet dry for sure. Hi! Wondering if you came across the Mammut Trovat Advanced GTX in your research? I’ve had these for years and absolutely love them – even wrote a lengthy review of them on my site. Thanks for the in-depth information, you clearly did a LOT of research! I had not come across the Mammuts yet. They look interesting for sure. I’ll review them in the near future. Thanks for letting me know! Thanks for the reviews, they were fantastic. I am hiking the Dolomites in Italy the last week in August. I am not really sure where to put my requirements having never hiked that region before. Do you have any suggestions? Lisa again, I wanted to add that I will be on a hiking retreat and will be hiking 4 hours – 10 miles- 6 days straight ending with a 4 mile hike on the 7th day. Carrying only Camels for water and a few other items. Thanks again. I’ve never been to the Dolomites myself. However, I’ve taken the liberty of researching them before answering this question. Since the #1 Keen pick on this list is no longer available, I’d go with the Columbias. The Columbias are high enough that they’ll protect your feet from gravel that jumps up and would normally get into lower cut footwear. They are also breathable. If you’re going to get them, be sure to start wearing them frequently a week or two before you go on your actual hike. Have fun at the Dolomites. Please send pictures! Keen Women’s TERRADORA MID WP Hiking Boots, which received excellent reviews. I am not an extreme hiker but am an avid walker on both trails and all around the city. Which boot would be better? what’s the difference between each? I hadn’t heard from the Terradoras before. But since I’m so familiar with the Targhees… and since the Targhees have a multi year long proven track records, I’d go for the Targhees myself. What are your thoughts on the Hoka One One Tor Ultra Hi WP? At the time of writing, they’re not available anymore. Looks like Hoka is now going for their Tor Speed 2 model instead. And those look pretty good to me. I’d totally wear them if I were a girl. Hi! I need help 😁 I have a great fear of heights, but love walking and am determined that my fear will not stop me trapsing along hillsides and cliff routes, however, I currently have some salomon walking boots (can’t remember exactly which ones, but I don’t feel secure on them having slipped on more than one occasion. I feel I need a very grippy pair of boots which would make me feel more secure. Which would you recommend? Salomon boots are good. You’re not supposed to just slip on them. Is the sole worn out? Any hiking boot on this page should be really good, since I don’t bother reviewing any sub par footwear. Why bother my readers with bad footwear? If you’re dead serious about having the ultimate in grip & traction, then you may want to have a look at my mountaineering boot section instead. Click here to read it. Great article! I’ve twisted my ankles and pulled my hip flexor due to inadequate shoe support. Which hiking boot has the best arch and ankle support? I like Under Armour Women’s Post Canyon but it’s currently our of stock. Have I got news for you. The Under Armour Post Canyon is currently available on Amazon!